Good Friday, folks. A cold front is working into the region today and is slamming on the brakes. That allows for a storm system to develop and roll into our region over the weekend. That’s the first of two big storm systems I’m tracking over the next week. The western half of the state will see the heaviest rain from this mess, with the possibility of local high water issues developing. A lot of rain is going to fall across Kentucky over the next 7 days. Chris mentioned on Twitter how the storms are racing into East KY but it looks like the line is putting the breaks on in SE KY! Heavy rain looks likely for next few hours anyways. Yeah no racing here up to half an inch in less than and hr still no severe weather . There was a severe thunderstorm warning for Oldham and Jefferson County around 6 this morning. 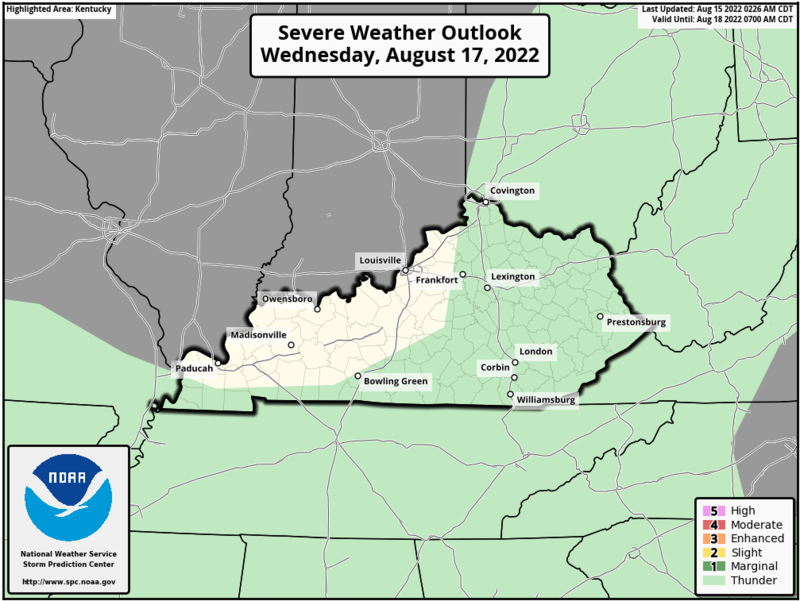 Still no one guaranteed severe weather just if there was best chance was in the west. Sunday is the day though according to the latest tweet. Given the amount of snow in the upper Midwest, I am surprised the severe weather season hasn’t been more active so far. It is still early though as May is usually the BIG month! That cold snap for next weekend is going to kill a lot of plants that are emerging from the ground. Frost and upper-20s you can mitigate but if the 540-line dips down into central Alabama that probably means our temperatures are going to drop into the teens. Covering plants won’t help much with that. I highly doubt teens. 540 is generally the 32 degree line but 30s to upper 20s is about as cold as we will probably get, if even that cold.